Ashbourne Singers provided the perfect tonic to bring us out of the long wet winter with an uplifting programme of choral music. Steve Duckworth (Musical Director) put together a programme that mixed classic works with more modern pieces appropriate for the Spring and Easter. 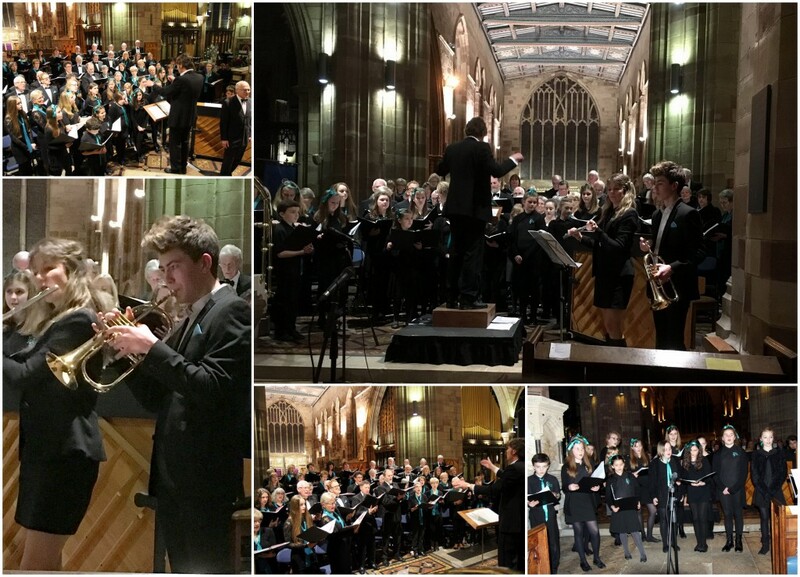 The opening number “Down in the River to Pray”, a traditional American song, gave way to a varied first half with the Young Ashbourne Singers taking centre stage on “Streets of London”, “Castle on a Cloud” and “Day by Day” with Beth Schratz singing solo. Steve Duckworth always wants to push the boundaries and introduce new music. His arrangement of David Sunter’s, “All the Way Home” was performed with gusto by David (one of the Tenors) with the full choir. Will Todd’s “Call of Wisdom” was commissioned as part of the celebrations for the Queen’s Diamond Jubilee. The choir fully embraced the emotion of its beautiful thoughtful lyrics, I am here, I am with you . . . ., a moment to savour. Niki Hughes stepped out from the choir with a solo performance of “I Don’t Know How to Love Him” from Jesus Christ Superstar. The familiar and popular piece “Do you hear the People Sing?” from Les Miserables concluded the first half rallying the audience for the refreshments scramble! The “Little Mixed Up Mass” gave us all the elements of a Requiem from different composers. The more modern pieces such as Chilcott’s “Sanctus”, Karl Jenkin’s “Benedictus” and Webber’s “Pie Jesu” fitted well with the more familiar pieces from Vivaldi, Haydn and Faure. The choir obviously love singing these beautiful pieces of music that stir the emotions and make us reflect on our own mortality. As Ellie-May Astbury and Jessica Duckworth’s beautiful rendition of the “Pie Jesu” echoed around St Oswald’s the audience sat spellbound. The remainder of the second half included a couple more songs from the Young Singers; a Zulu chant, “Senzenina”, which was led by Tom Palmer; finishing with Rutter’s “For the Beauty of The Earth” accompanied on piano by Tom’s daughter Ellie Palmer.